Prominent rapper, activist, and community organizer Nipsey Hussle passed away earlier this week. News of his death hit especially hard in his hometown of Crenshaw, California and it has also rippled across social media as people pay their respects. Nipsey Hussle was born in LA County in 1985 and was named Ermias Asghedom after his Eritrean immigrant father. Ermias’ mother encouraged him and his brother to read, while his father tried to make sure his sons were educated about the conflict in Eritrea, often leaving CNN on in the house. At age 14, when Ermias went to go live with his grandmother, he realized he was interested in music but didn’t have the resources to pursue it. Instead, he joined a gang affiliated with the Crips. “We dealt with death, with murder. 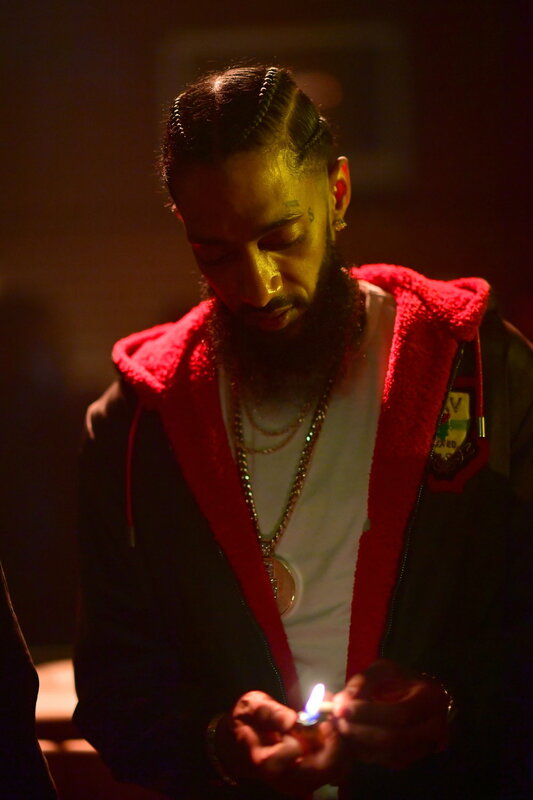 It was like living in a war zone, where people die on these blocks and everybody is a little bit immune to it," said Nipsey Hussle, describing the experience. When he turned 18, Ermias and his brother Samiel took a 3-month trip to Eritrea with their father and he later described it as “life-changing.” Asghedom got involved with music the next year, starting to work crafting his signature West Coast sound. Known for having a good sense of humor and a strong work ethic, one of his friends had nicknamed him “Nipsey Hussle” as a teenager, after the comedian Nipsey Russell. Asghedom took this on as his stage name, often stylizing it as “Nipsey Hu$$le.” He sold mixtapes out of the trunk of his car for a decade, charging $5 for CDs he handed out on the sidewalk. Eventually, Nipsey Hussle started to develop a fan base and more people came to have respect for his sound. His mixtapes were in highly sought after but hard to get, even while he was still selling them out of the trunk of his car. In 2010 he placed on hip-hop magazine XXL’s coveted list for up-and-coming acts, alongside artists like J. Cole, Big Sean, and Wiz Khalifa. Nipsey Hussle and his family with Eritrean president Isaias Afwerki when they visited last year . Photo via @hadnetkeleta /Twitter. In 2013, Nipsey Hussle extraordinarily decided to charge $100 for his mixtape Crenshaw, and this brought him a slew of cash and publicity when Jay-Z purchased 100 copies for $10,000. In 2018 he made his major-label debut with the album Victory Lap. The album was nominated for a Grammy. Though the album did not win, Nipsey Hussle gained the respect of wide-ranging artists. Nipsey Hussle notably did not want his only achievements to be musical, sharing that he wanted to provide hope and a sense of possibilities to people who grew up in Crenshaw like him. He owned The Marathon clothing store in Crenshaw Plaza, which was where he was recently killed. Before the murder, the real estate Nipsey Hussle was developing at Crenshaw Plaza represented hope for the area, and he and his dad could often be found working alongside each other in the store. Nipsey Hussle made it a point to mentor teenagers in the neighborhood and he traveled to Eritrea to begin working on the development and entrepreneurial opportunities there. Passing on at the age of 33, he accomplished a lot in a short lifetime and left behind not only an artistic impact but a significant personal one. As his community and family members continue to mourn, let’s keep them in our thoughts.